Marjan Simcic has a great personality and we at Bancroft are very fond of him. When he agreed to come over to the UK to spend some time with our clients, we were thrilled We held a private dinner this week at Tinello restaurant in Pimlico. Guests included a mix of private clients and trade and we were also joined by the Slovenian Ambassador, Iztok Jarc, and his wife Helena. The winemaker of two of our most popular wines from Ribera Del Duero joined us last week for a very special master class dinner for 16 lucky guests at highly acclaimed Pizarro restaurant. The dinner was simply sublime with a selection of tapas, roast lamb and then a selection of cheeses to finish off. It was the perfect venue to taste the wines of Bodegas Neo, a firm favourite of Robert Parker who often rates the Punta Essencia with 96 points or more and the wines of Bodegas Arrocal, one of the best value wines from our range. 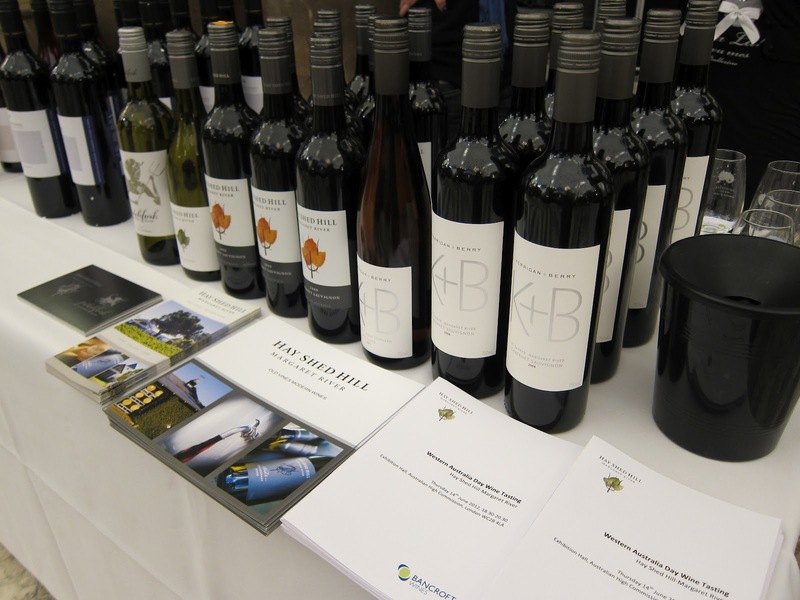 Last night the Australian High Commision held a Western Australian wine tasting and we were very pleased to be representing Hay Shed Hill, Pitchfork and Kerrigan & Berry wines. We didn't really know what to expect but the tasting room was very chic and with 200 guests expected to arrive, we knew we were going to be busy.